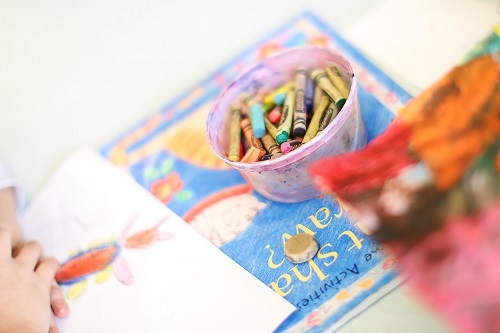 Beyond the classroom, our students have the opportunity to engage in a wide variety of school-sponsored activities. Our academic program is further enriched by extracurricular programs and experiences. Tutoring is available before and after school. Several teachers offer tutoring during lunch as well. Times vary according to tutor, grade level, and subject. Small fees may apply. Clubs offer our students the opportunity to expand the learning experience beyond the classroom. 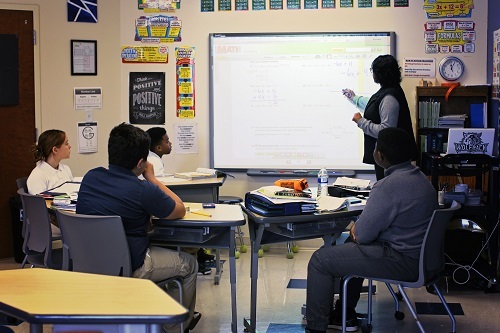 Cornerstone clubs offer both academic and social growth opportunities. Currently, we offer exciting opportunities that include Run Club, Drama Club, National Junior Honor Society, Student Council, Chess Club, Recycle Club, Girls with a Purpose. We also offer a well-rounded, competitive instrumental music program. Cornerstone Wolves in grades 5-8 have the opportunity to participate in organized sports. We offer Soccer, Volleyball, Cross Country, and Basketball. These sports take place after school and on the weekends. Small fees may apply. Field trips offer a chance for students to learn outside the classroom. Field trips are provided over the course of the school year. Our youngest students often travel to local apple and pumpkin farms in the fall, while older students explore the State House and Supreme Court, local High Schools and Universities. The Spring is filled with trips to COSI, the Columbus Zoo, and local metro parks. Information regarding field trips, times, and locations will be provided to the parents by classroom teachers and administration. 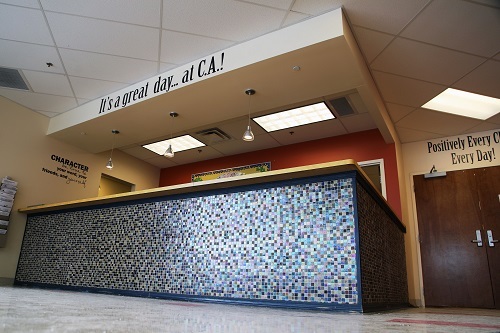 Cornerstone Academy offers travel abroad to students in 6th, 7th, and 8th grade in alternating years. Students have the opportunity to visit places like London, England and Rome, Italy. We also offer an opportunity for students to participate in a three-day, two-night camp experience at Camp Nuhop, Ohio’s foremost Outdoor Education Center located in the Mohican State Park area. 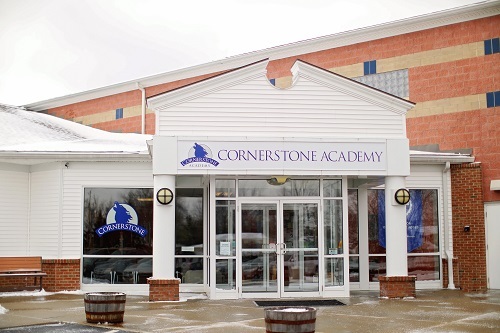 As a public community school, Cornerstone Academy is open to students from all districts; however, district transportation is available only for students residing in Westerville City Schools and portions of Columbus City Schools. To arrange transportation through Columbus, please visit https://www.ccsoh.us/transportation.aspx and click on “Charter/Non-Public Schools Transportation Application” at the bottom of the page to submit an and application. Please contact Westerville City Schools to arrange transportation for your child at 614-797-7700. Cornerstone Academy fully participates in the National School Lunch Program. We believe that a successful day starts with healthy nutrition. All families are encouraged to complete and submit a Free & Reduced Meal application. Meals are delivered fresh each day by Arlene’s Catering. Each healthy meal includes protein, fresh fruit, vegetables, whole grains, and skim milk. We observe a strict dress code policy for all grade levels as a way to help our school maintain focus on academics and help our families keep wardrobe costs affordable. Students are required to wear solid colored shirts with collars in navy blue, gray, or white and solid navy blue, gray, or khaki colored bottoms. Read our entire Dress Code Policy here. A safe and secure school is a top priority. We incorporate physical security measures and crisis planning to keep our school safe. Our school safety plan includes school-wide cameras with central monitoring locations, secured school entrances, and on-going training for all teachers and support staff.